Unable to make it out to Starfire Stadium for the ECS FC vs TA FC Supporters' Cup series on Saturday, August 29th? Don't fret - you'll be able to follow all of the action of the Men's I trophy match via Sonarfeed live stream! ECS FC is incredibly excited to announce that Erin Riley and Hugo Garcia will be live-streaming the final match of the day, set to kick off at 6 PM. Expect play-by-play, commentary, player announcements, and maybe even an interview! Sonarfeed's broadcast will be the first time that an ECS FC vs TA FC Supporters' Cup match will be live-streamed, allowing those who are out of town to not just hear about the game highlights but to watch it and experience it themselves. This represents the second time that ECS FC has been fortunate enough to have Sonarfeed live-stream an event. On Saturday, May 30th 2015, Sonarfeed broadcasted the ECS FC Pub League final from the Rainier Vista Boys & Girls Club. Check out www.ustream.com/channels/sonarfeed for all the action on Saturday, August 29th! What a fantastic tournament! Thank you to all who came out and participated in the 2015 ECS FC Footgolf Open, and a VERY special thank you to our sponsors and partners on the day: Redhook Brewing, The Atlantic Crossing, Fuel Sports, Hellbent Brewing, and Foster Golf Links! Without all of you, this successful day would have not been possible. Participation saw a big increase, and all proceeds raised will go to support our club. Thank you! For the full leaderboard results of the tournament, please visit HERE. For more photos of the event courtesy of photographer Casey Woodrum, please visit HERE. It's that time again! 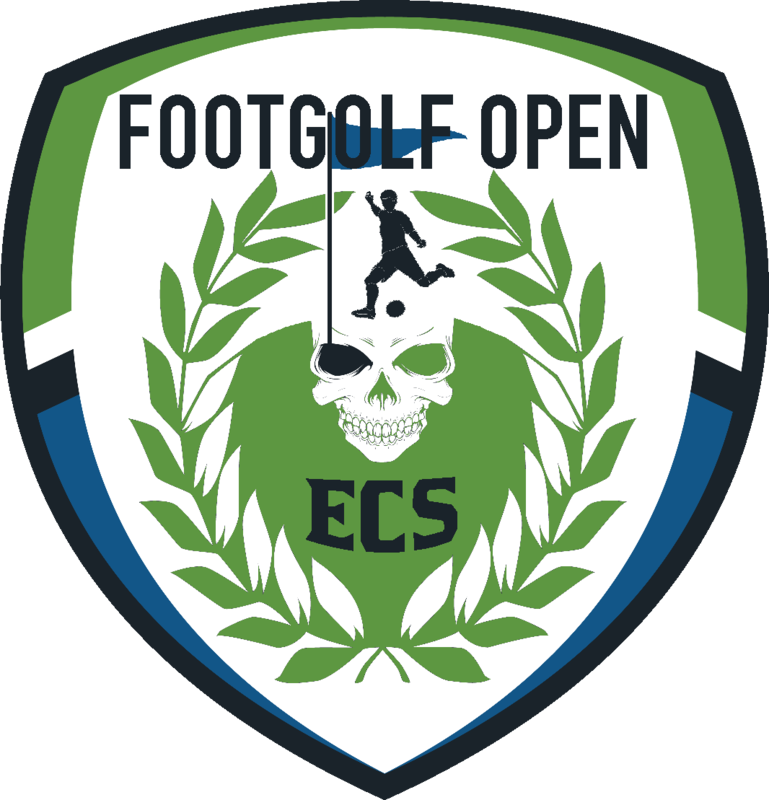 Lace those shoes, dig up your best golf clothes, find your lucky ball, and get on out to Foster Golf Links for the 2nd-annual ECS FC Footgolf Open! This year's event will be held on July 25th with a 2:00 PM shotgun start time. The open will be hosted once again at Foster Golf Links in Tukwila, just down the road from Starfire Sports. All proceeds will benefit Emerald City Supporters FC, the amateur soccer club of the Emerald City Supporters! Proceeds will help to purchase equipment, field time, and uniforms. Proceeds will also support hosting of the 2015 Supporters' Cup matches between ECS FC and Timbers Army FC at Starfire. Just like last year, entry fee for the ECS FC Footgolf Open wil...l be $30 per player. The tournament will consist of a beginners division and competitive division, and is open to everyone of all ages. Bring your family and friends, and don't worry about playing ability! Children under 10 years old play FREE with a paid playing adult accompanying them. Shotgun start will kick off the playing round at 2:00 PM sharp. Players who have pre-registered by purchasing the store item should arrive by 1:30 PM, which will allow them to check in and walk to their assigned starting holes. Walk-up registration will open at 1:00 PM. Following the Footgolf tournament, join us at the restaurant/clubhouse Billy Baroo's for a viewing of the Sounders at Impact at 5:00 pm. All the rounds will finish before then so no one misses any of the match. There will be a beginners division and a competitive division. These 2 divisions will be scored separately and prizes will be awarded for each one. The competitive division will have a starting pin further back than the friendly one just like in real golf. All ECS FC players on a GSSL team will be required to join the competitive division. Though not required, players are encouraged to wear their best golf outfits such as argyle socks, golf cap and collared shirts. We will be awarding a prize to the best dressed! Although this is a soccer-style event, no cleats are allowed on the course. Please only wear turf, indoor shoes or regular tennis shoes. A limited number of soccer balls will be available to rent for $5, but they will be given out on a first come, first served basis. Players are encouraged to bring their own size 5 soccer balls. 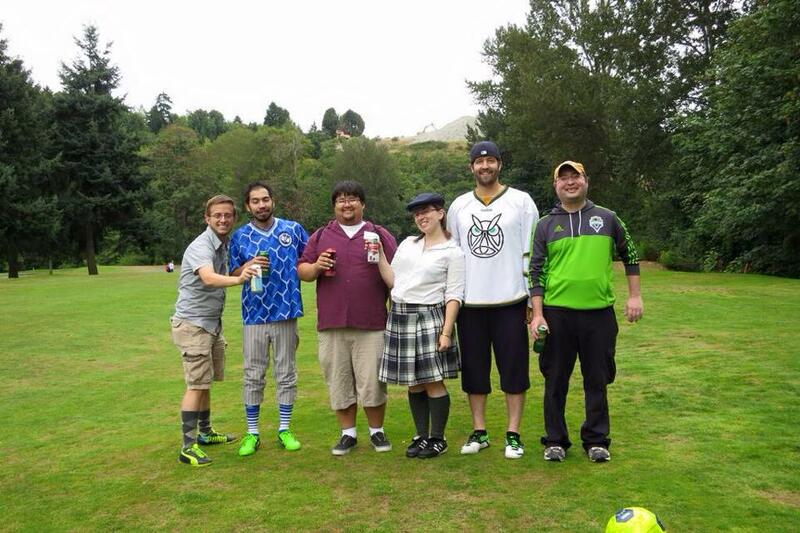 ECS FC will award prizes for the following: lowest scores, closest to pin, best dressed. If there are a group of people that you would like to play with, please let us know when completing registration as we will make all the arrangements we can. Please post in the comments when you reserve your spot the names of the players you would like to team up with. Teams will be limited to 6, but a few exceptions will be made on a first-come, first-served notice. Those who do not select a team will be placed in groups together to enjoy the game. Smaller groups will be combined with other smaller groups. The time has come for the latest from ECS FC! 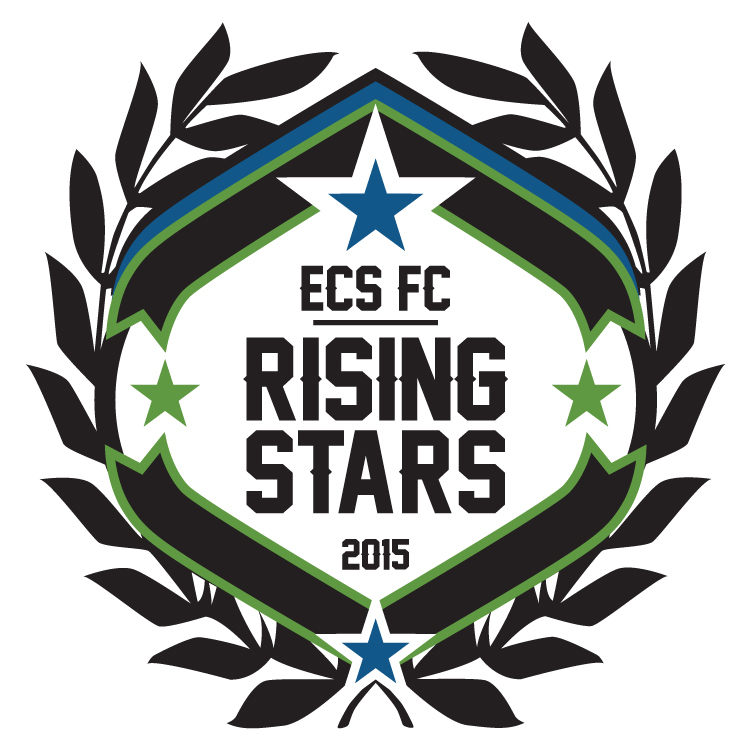 We are proud to announce the formation of the 2015 ECS FC Rising Stars program, our U-6 (boys and girls 5 and under) practice group. This is ECS FC's first-ever foray into the ranks of youth soccer. The objective of this group is for young children to gain basic and early exposure to soccer and supporters culture without breaking the bank. This is a volunteer-run group with parent participation required! We will provide a safe and fun environment for kids and their parents to learn the basic skills of the game. Parents will work directly with their kids under the coaches’ direction on various drills and games that promote basic motor skills and exercise along with beginning soccer skills. We will be offering two or three trial dates in June that will allow you and your child to come experience what an average practice will look like before making a full commitment the sessions. The cost for these trial practices will be $5 cash on arrival. In late June, we will open registration for the first four-date session which will run through the end of July. Practices will be on Sundays at 1 pm at Georgetown Playfield (on the side field or in the grass). Sessions will cost $20 for ECS members and $25 for non-members. Proceeds will cover purchase and maintenance of program equipment and gear. Please join the Facebook group for all updates, trial session dates, and furtherinfo.